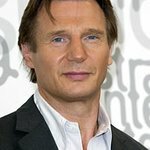 Actor Liam Neeson hosted a dinner for some of his celebrity friends in New York this week, to raise money to rebuild a theatre in Ireland. Stars such as Meryl Streep, Aidan Quinn, Brian Kennedy, Ciaran Hinds and Conleth Hill attended the bash, which brought a touch of the Emerald Isle to the Big Apple. The fundraising campaign must raise $1.3 million by June to rebuild the iconic Lyric Theatre in Belfast, originally established in 1951.